Anderton’s is one of three ruins that fell foul of the creation of Yarrow Reservoir. 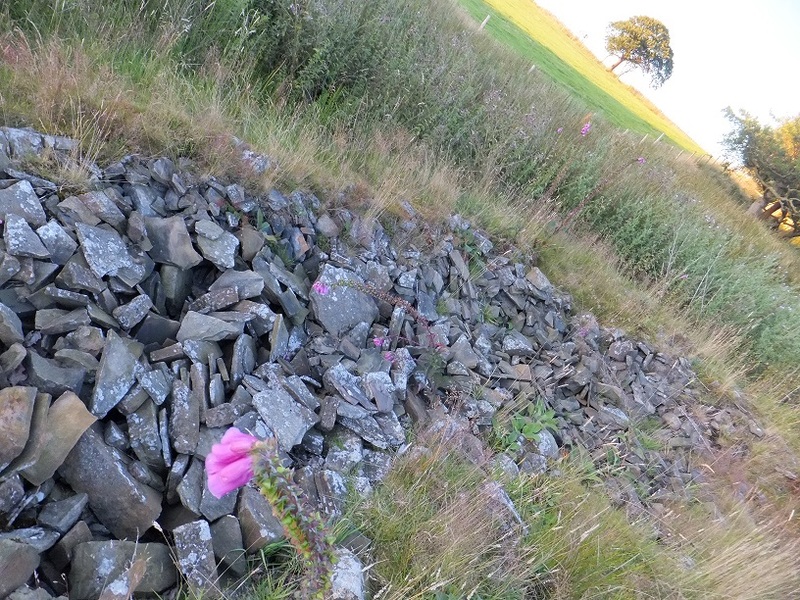 These are the only one of the three that still has any ground evidence, as the shores of the reservoir finish just outside the grounds of the old farm. Some farms were lost forever during the construction of Yarrow Reservoir. Andertons escaped by a whisker! This farm is believed to have existed as far back as 1610. This is because there is reference in the Rivington Muniments to a James and Jennet Anderton living on Anglezarke Moor at that time. They were both approximately 40 years of age at the time of record. The survey also confirms that there were 30 sheep present at the dwelling, and 6 days of the year taken up by shearing. Six hens were present, and a yearly rent was paid of £0 15s 8d. 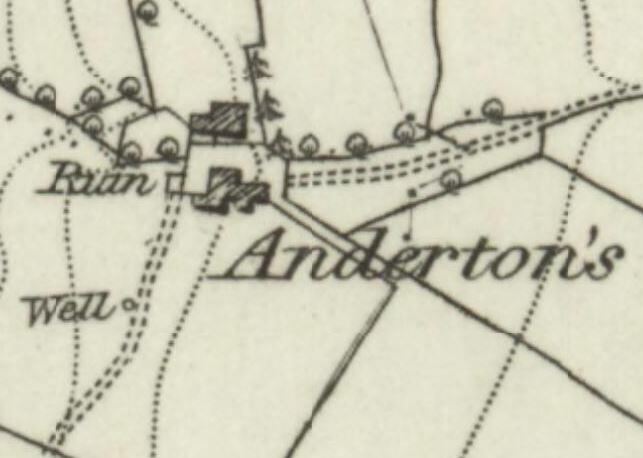 There appears to be a ruined structure about the intact Anderton’s on the map below. 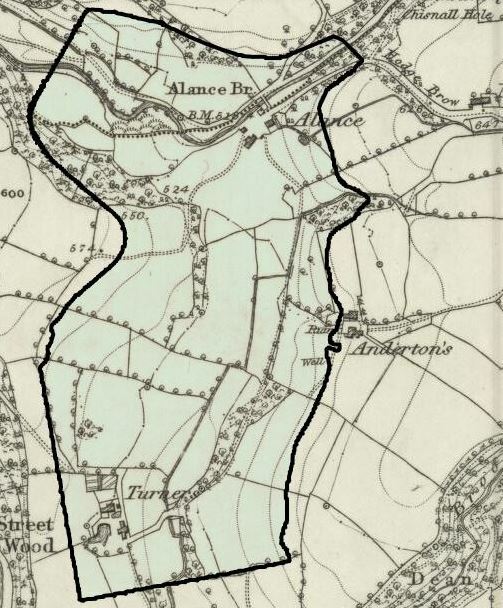 Anderton’s farm shown centre right on the 1849 OS Map. 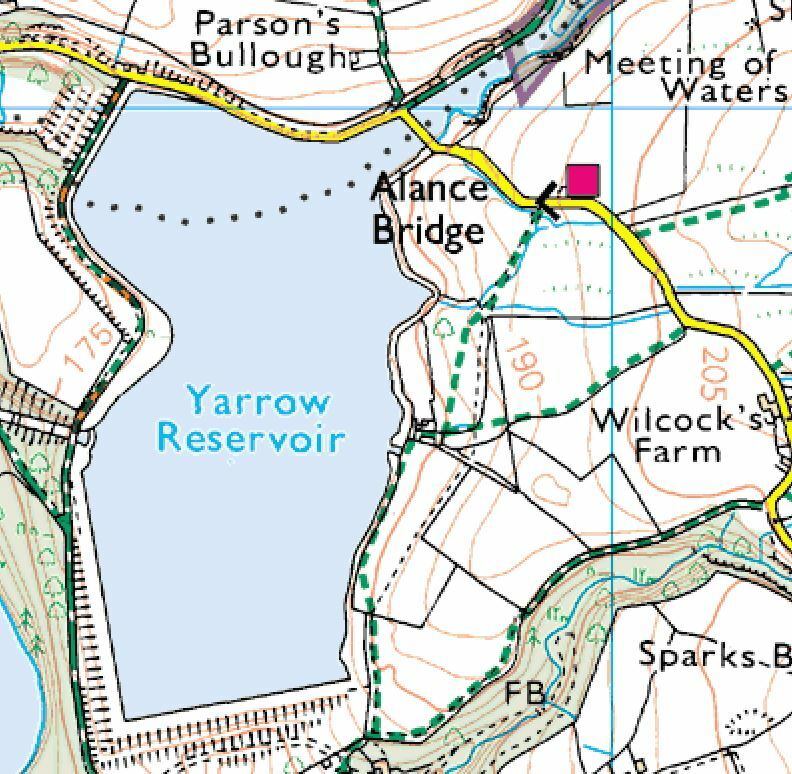 The border of the Yarrow Reservoir has been added for comparison. There is a bit of a spooky tale from much later in the farms history. 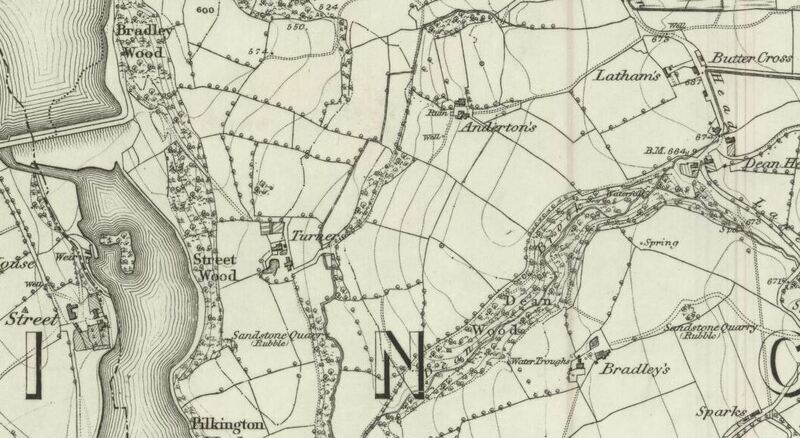 On 11th March 1837, it was reported in the Bolton Free Press that the inhabitants of Anglezarke were said to be in a state of anxiety for a number of days due to the sudden disappearance of Thomas Anderton, the farmer’s son. 28-year old Thomas was “labouring under an aberration of the mind from the effects of a brain fever”. On the 9th February he had escaped from home and “no tidings might be learned as to where he had gone”. No-one had seen him and “numerous and vain were their conjectures”. The family were obviously distressed, and every brook, ditch and pond in the neighbourhood was searched without success. Mr. Anderton did not only own the property which bore his name. He also farmed some land at a short distance from his house, but let the dwelling which was upon it, which was at that time occupied by a man with the name of Parr. Mr. Parr had recently buried one of his family, an old woman – possibly his mother. For some days, strange noises were heard in the Parr’s house, and the locals believed that the house was haunted by the old woman who had been buried on Wednesday, 1st March. Mrs. Parr went to Mr. Anderton and told him there was something in the hay-loft adjoining the house which frightened them very much. Upon hearing of this, Mr. Anderton went and ascended the loft and to his astonishment, found his son in one corner, who had been absent almost twenty days. When taken home, he told his father that when he escaped from the house, he hid himself in a bush in the neighbourhood where he remained all day and night and the following day. He then got into the hay-loft where he remained till found. He had not eaten or drunk anything from the time of leaving home except a little hay which appeared to be nibbled where he lay as if the rats had been amongst it. A surgeon was got to his assistance but nature had become too much exhausted and he died on Wednesday 8th March. 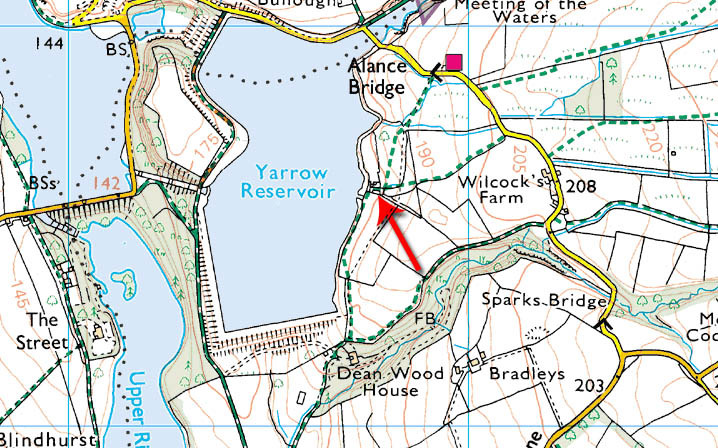 Here the current OS map shows the ruins, which are now unnamed. 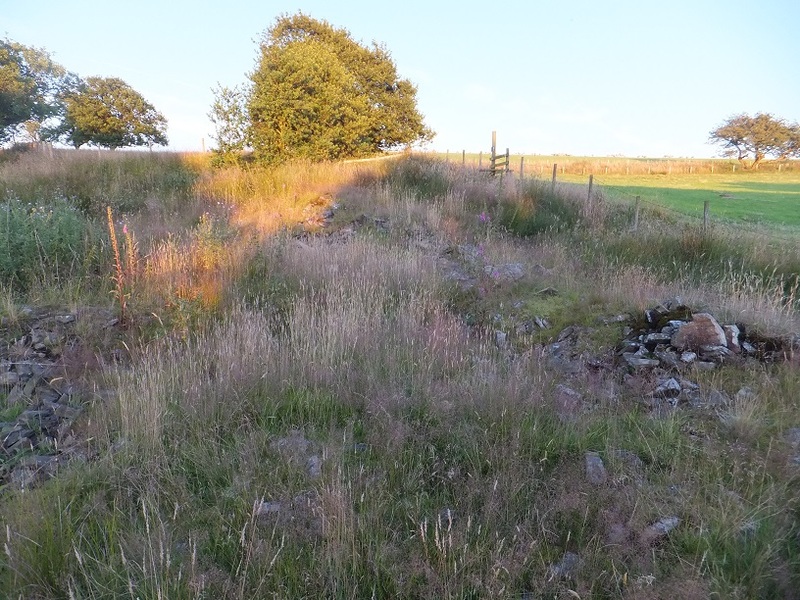 There is some good walking around the ruins, with the song of curlew in the spring, amongst farmland birds. 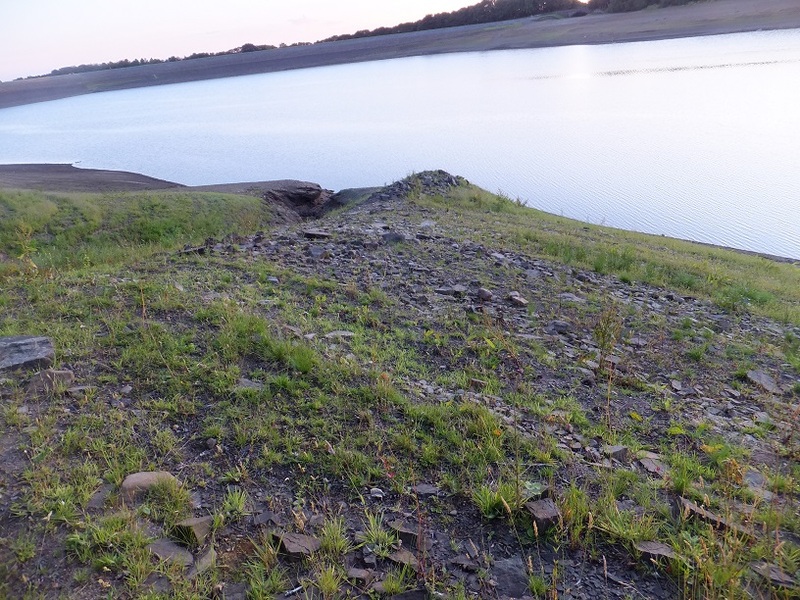 When Yarrow Reservoir was low, I took some photographs on both side of the reservoir wall. 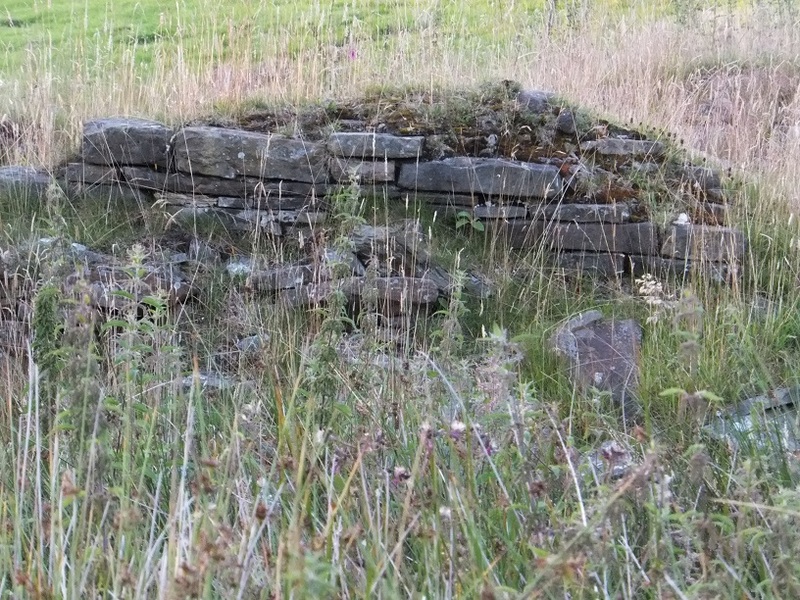 A ruinous wall to the North of the property. Andertons was quite a substantial farm. 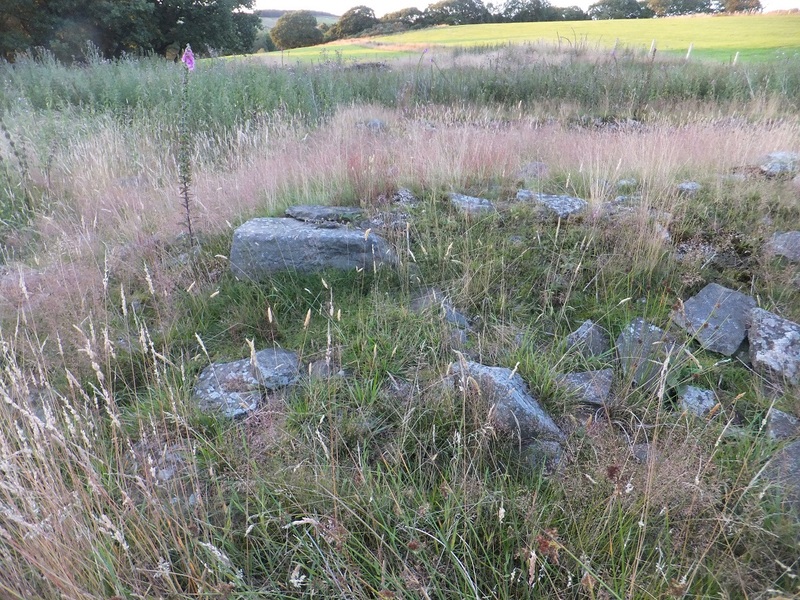 Looking East through the centre of the site. On the shores of Yarrow Reservoir with the ruins behind. You can see the inlet stream to the centre left of the shot. A section of wall on the South-Eastern side of the site. Probably the most intact part of the ruins, although once summers growth dies down there will probably be more to see. The grass foundations are pretty thick around here and I suspect there will be a decent amount of further evidence underground.